Yosemite's Scenic Wonders is located close to magnificent sights like Yosemite Falls! Perhaps one of the most breath taking sights in Yosemite National Park is Yosemite Falls. Yosemite Falls is an extremely popular attraction for visitors of Yosemite and is well-known for being North America's highest waterfall. Measuring at 2,420 meters from top to bottom, the waterfall is truly a miraculous attraction to behold. The great thing about the sheer size of Yosemite Falls is that it can be exhibited throughout different regions and viewpoints in the Yosemite Valley. Most travelers try to explore the Falls in the Spring time, when water flow is at its peak, especially during the month of May. Yosemite Falls is technically comprised of three sections: the upper falls, the middle cascades and the lower falls. The upper falls is approximately 1,430 feet long and pumps water from Yosemite Creek. The water from the upper falls cascades with monumental force and is known for being quite loud. Measuring in at 630 feet, the middle cascades are much smaller in length than the upper falls. The middle cascades exist between the upper and lower falls and are comprised of five smaller, yet beautiful plunges. Unfortunately, this region of the falls is somewhat constricted, which is why many people are unable to view it. Additionally, this area is known for being very steep and slippery, which is another reason people tend to stay away. The last part of the waterfall is referred to as lower Yosemite Falls. This region has a length of 320 feet from top to bottom and is frequented more than the other two sections. The main reason for this is that the section is more accessible and, although slippery, is less dangerous. The water from Yosemite Creek emerges from lower Yosemite Falls and then gently flows into the scenic Merced River. If you're looking to do some serious hiking during your Yosemite National Park vacation, you should definitely check out Yosemite Falls. However, be prepared, because hiking around the falls is truly an all-day adventure. There are two popular trails for hiking enthusiasts to choose from. The first trail is roundtrip through the lower Yosemite Falls and is approximately 7.6 miles long. 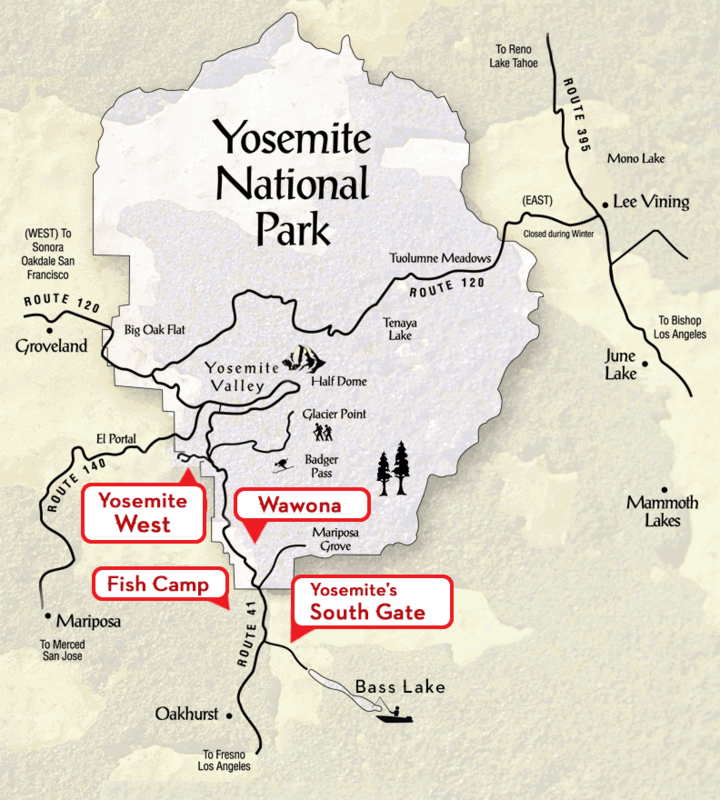 The second trail includes a stop at Yosemite Point and is 9.4 miles long. The best time for hiking to Yosemite Falls is during the spring or early summer. During these times, the weather is perfect and the falls are roaring. Are you looking to lodge inside the gates of Yosemite National Park and close to majestic sights like Yosemite Falls? If so, you should rent a home, cabin or condominium from Yosemite's Scenic Wonders. Our location simply cannot be beat! Call 1-888-YOSEMITE (1-888-967-3648) or make your reservation online today!